Yes, we have a whole summer ahead of us to enjoy, but our classes fill up fast so now's the time to reserve your place in our fall classes, avoid the last minute scramble, and receive an Early Bird Discount on tuition. Remember, you can enroll online for classes here . Early Bird Discount through August 5. Early Bird Discount through August 15. ﻿ Early Bird Discount through July 30. Our studio doors will be closed August 5 through September 3 while we recharge our creative batteries. Please email us with any questions you may have during this time. Attention students: Please clear your shelves at the end of your class semester and take your clay if you want it, or leave it to be recycled. July 19-22: Open 10:00 am to 2:00 pm during Art Fair. At other hours, call to find out if the studio is open. July 30: Last day for students to glaze their work for firing. August 4 : Student work glazed by July 30 will be available for pickup until 6:00 pm today. August 25: Josette Steele will be at the studio from noon to 5:00 pm to collect works for the September student show. August 28-29: Studio will be open from 10:00 am to 4:00 pm to allow In the Garden show participants to pick up their pots from the gallery. * Advanced and intermediate students are eligible to purchase a monthly unlimited studio membership for August. You must purchase the membership by August 4. 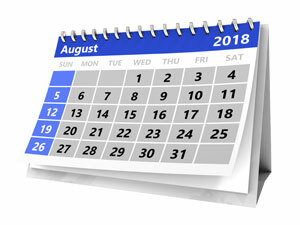 The term of the membership runs for 30 days. September 4: Studio and gallery reopen for regular studio hours. September 6 : Fall term begins with afternoon and evening Introductory and Continuing Wheel classes. In The Garden show : Please come remove your work from the gallery between August 24 and 29 . We will be open from 10:00 am to 4:00 pm on August 28 and 29 so you can pick up your pots. September student show : Please bring three pieces of your best work to the studio by August 25 . Josette Steele will be at the studio on August 25 from noon to 5 pm to collect your pieces. Be sure to give your works a sales price as all works in our gallery are for sale. Our bisque shelves are jam-packed . . .
. . . and we need to make more room for work by our impressively productive students and resident artists. So if you have bisque ware from June on our shelves, please come glaze it for firing or collect it and take it home by July 30 . To free our shelves for new bisque ware, we must discard any unclaimed bisque ware remaining after that day. Reminder : These gas kiln firings dates are based on the having enough pieces to fill the kiln and could change. Check with the studio for the latest schedule. If you're not sure how to get the best use out of the mysterious Hax Tool, this next Tool Time is for you. On Sunday, July 15, Kay will show us how to put the Hax Tool to work. Creator Michael Sherrill bills the Hax Tool as " an exceptionally good tool for the hand builder," so be sure to mark your calendars, hand builders. We'll see you at the studio at 4:30 pm for this free demonstration. Q. I'm trying to brush glaze decoration on my pieces, but my brush technique could use some work. Do you have any suggestions? A . Here are three great brush tips from Linda Arbuckle , who is noted for her majolica botanical images on pottery. 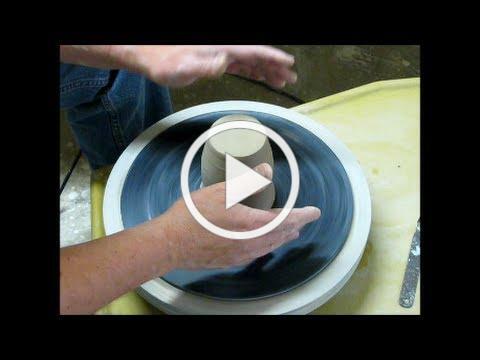 These tips are helpful for any kind of brush decorating on clay. See Linda Arbuckle's gallery of beautiful majolica pieces here . 2018 Ann Arbor Art Fair . It's the 59th Annual Ann Arbor Art Fair Thursday, July 19 –Saturday, July 21, 10 am-9 pm; Sunday, July 22, noon-6 pm. 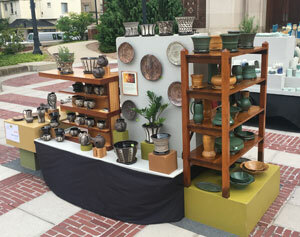 Kay will exhibit with the Ann Arbor Potters Guild at booth NU800 on the steps of Hill Auditorium. Printable map . More details. . . Collected Surface: Functional Ceramics . Huron Valley Ceramics Collective, Now-September 9, Taubman Health Center. More . . . 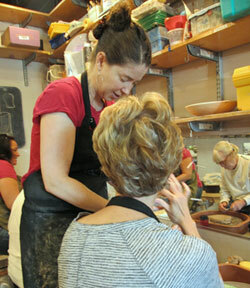 Creating with Clay: Clay-Art Friends. September 1-October 13, Ann Arbor District Library, Downtown Ann Arbor. Michigan Ceramics 2018 . October 5–31, Padnos Art Gallery, Calder Art Center, Grand Valley State University. More . . . The Clay Gallery Returns . October 15–November 15, pop-up show at Yourist Studio Gallery. Annabeth Rosen: Fired, Broken, Gathered, Heaped . November 16, 2018– March 10, 2019, Cranbrook Art Museum. More . . .
Michigan Ceramics Juried Exhibition . This Biennial exhibition and competition showcases the excellence of ceramic art and its diversity across the state of Michigan and neighboring states. Entry deadline for 2018 is August 1. More . . .
Gail Kendall Workshop . October 6. In conjunction with Michigan Ceramics 2018. Ceramics studio, Calder Art Center, Grand Valley State University. More . . . When engineer Robert Vance had trouble mastering tap centering, he used his engineering skills to devise his own method, which he says requires "no guesswork, mysticism, or esoteric knowledge."